Today’s Station is at St. Mary Major. The spring Ember Week consecrated the new season to God and by prayer and fasting sought to obtain abundant graces for those who on Saturday were to receive Holy Orders. The Station was fittingly held in the church, which witnessed the first scrutinies for the coming ordinations, and which was dedicated to the mother of the great High Priest. The Basilica of Saint Mary Major (Italian: Basilica di Santa Maria Maggiore, Latin: Basilica Sanctae Mariae Majoris ad Nives, is an ancient Catholic basilica of Rome. It is one of the four major or four papal basilicas which, together with St. Lawrence outside the Walls, were formerly referred to as the five “patriarchal basilicas” of Rome, associated with the five ancient patriarchal sees of Christendom (see Pentarchy). The other three papal or major basilicas are St. John Lateran, St. Peter and St. Paul outside the Walls. The Liberian Basilica (another title for the church) is one of the tituli, presided over by a patron—in this case Pope Liberius—that housed the major congregations of early Christians in Rome. Santa Maria Maggiore is the only Roman basilica that retained the core of its original structure, left intact despite several additional construction projects and damage from the earthquake of 1348. The name of the church reflects two ideas of greatness (“major”), that of a major (or papal) basilica and that of the largest (major) church in Rome dedicated to the Blessed Virgin Mary. 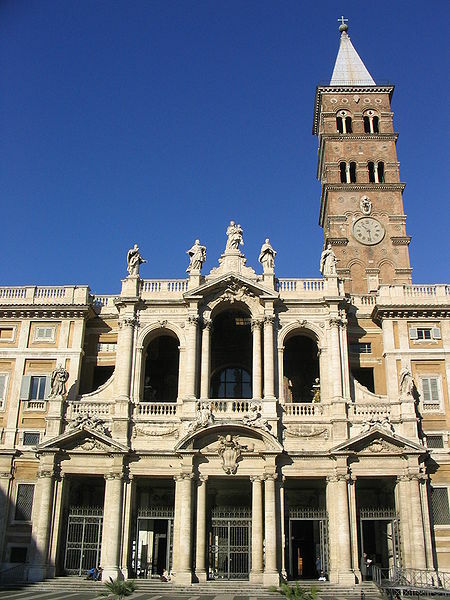 After the Avignon papacy formally ended and the Papacy returned to Rome, the Basilica became a temporary Palace of the Popes due to the deteriorated state of the Lateran Palace. The papal residence was later moved to the Palace of the Vatican in what is now Vatican City.